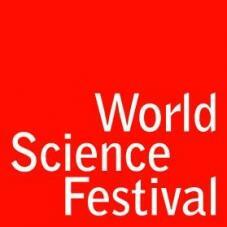 World Science Festival returns to BBP again this year for another night of stargazing on the waterfront! World Science Festival brings stargazing back to BBP this year along with UP - Umbrella Project, an amazing participatory performance piece by Pilobolus! Attendees can take a look through WSF’s high-tech telescopes for an up-close view of the moon, Jupiter, and other celestial objects. Back on Earth, join Bill Nye the Science Guy for a Q&A and book signing, and meet astronauts Yvonne Cagle and Leland Melvin! Then, grab an LED-lighted umbrella and jump into the one-of-a-kind Umbrella Project. See more details below. UP - Umbrella Project, a collaboration between MIT’s Distributed Robotics Laboratory and performance arts organization Pilobolus, invites visitors to take part in a unique performance piece. Armed with controllable LED-lighted umbrellas, participants will form colorful constellations and patterns that they can see in real-time on a birds-eye perspective projection nearby. Umbrella Project demonstrates through stunning visuals and surprising interactivity that the whole is greater than the sum of its parts.